Kick off your visit on the 4th (Mon): step off the mainland to explore Isla San Martin and then admire the sheer force of Salto San Martin. On your second day here, admire the sheer force of Cataratas del Iguazu. For traveler tips, other places to visit, photos, and tourist information, use the Iguazu National Park trip builder website . Rio de Janeiro, Brazil to Iguazu National Park is an approximately 4-hour flight. You can also drive; or do a combination of bus and car. Traveling from Rio de Janeiro in February, Iguazu National Park is little chillier at night with lows of 24°C. 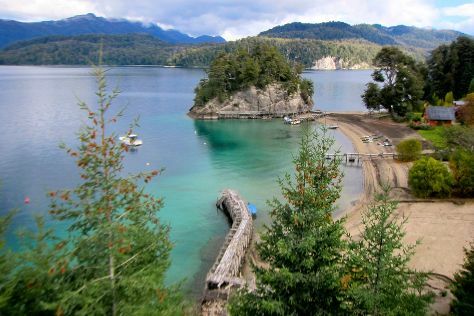 Cap off your sightseeing on the 5th (Tue) early enough to travel to San Carlos de Bariloche. Start off your visit on the 6th (Wed): tour the pleasant surroundings at Circuito Chico and then look for all kinds of wild species at Parque Nacional Nahuel Huapi. Get ready for a full day of sightseeing on the 7th (Thu): fly down the slopes at Catedral Alta Patagonis. To see ratings, photos, where to stay, and more tourist information, you can read our San Carlos de Bariloche trip planner . Fly from Iguazu National Park to San Carlos de Bariloche in 7 hours. Alternatively, you can drive; or take a bus. When traveling from Iguazu National Park in February, plan for little chillier days and colder nights in San Carlos de Bariloche: temperatures range from 27°C by day to 7°C at night. Finish your sightseeing early on the 7th (Thu) to allow enough time to travel to El Chalten. Start off your visit on the 8th (Fri): explore the striking landscape of Cerro Fitz Roy. Get ready for a full day of sightseeing on the 9th (Sat): look for gifts at Marcopolo Bookstore, then contemplate the waterfront views at Laguna Capri, and then get to know the fascinating history of Laguna Torre. For traveler tips, reviews, maps, and tourist information, read El Chalten trip planner. Getting from San Carlos de Bariloche to El Chalten by combination of flight and bus takes about 7.5 hours. Other options: take a bus; or drive. Finish your sightseeing early on the 9th (Sat) to allow enough time to take a bus to El Calafate. Kick off your visit on the 10th (Sun): tour the pleasant surroundings at Parque Nacional Los Glaciares. Here are some ideas for day two: shake up your sightseeing with a climbing tour and then get outside with Enjoy!. To find reviews, where to stay, photos, and other tourist information, use the El Calafate travel route planning site . Traveling by bus from El Chalten to El Calafate takes 3 hours. Alternatively, you can drive. In February in El Calafate, expect temperatures between 17°C during the day and 16°C at night. Finish your sightseeing early on the 11th (Mon) so you can take a bus to Los Glaciares National Park. 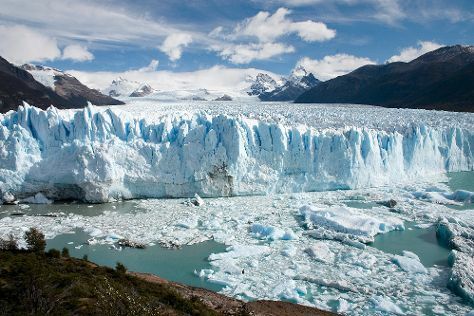 On the 12th (Tue), explore the striking landscape at Glaciar Seco and then take in the dramatic natural features at Perito Moreno Glacier. To find reviews, where to stay, other places to visit, and more tourist information, read our Los Glaciares National Park holiday planner . Traveling by bus from El Calafate to Los Glaciares National Park takes 2 hours. In February in Los Glaciares National Park, expect temperatures between 17°C during the day and 16°C at night. Finish your sightseeing early on the 12th (Tue) so you can travel to Buenos Aires. Buenos Aires is known for nightlife, museums, parks, historic sites, and shopping. Your plan includes some of its best attractions: don't miss a visit to Recoleta Cemetery, admire the masterpieces at Museum of Latin American Art of Buenos Aires, appreciate the extensive heritage of San Telmo, and wander the streets of Recoleta. To find ratings, maps, where to stay, and other tourist information, read Buenos Aires tour builder . Traveling by flight from Los Glaciares National Park to Buenos Aires takes 6.5 hours. Alternatively, you can do a combination of bus and train; or take a bus. 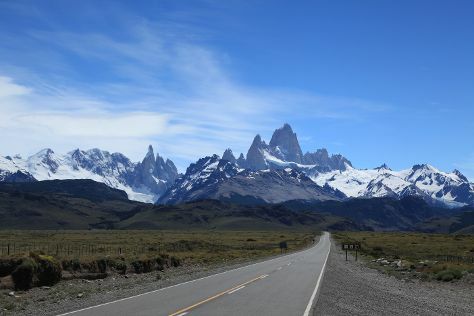 Traveling from Los Glaciares National Park in February, you will find days in Buenos Aires are warmer (32°C), and nights are a bit warmer (24°C). Finish your sightseeing early on the 15th (Fri) to allow enough time to travel back home.